Connect and track your mobile workforce anywhere, anytime. Pure Connect GPS allows you to track and manage your mobile workforce each minute of the day. We help increase productivity and revenue while lowering risk and reducing operational costs. Connect your fleet vehicles to our platform for 24/7 efficiency, safety & security. With a low-cost, no contract service, finally your return on investment is clear. 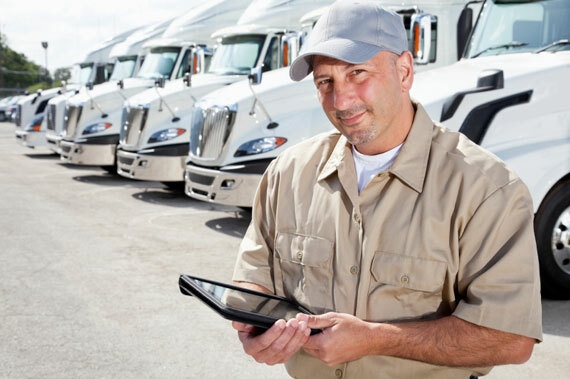 Below are categories that can be impacted within companies who actively manage their fleet. Results vary based on each unique industry, business use and situation. 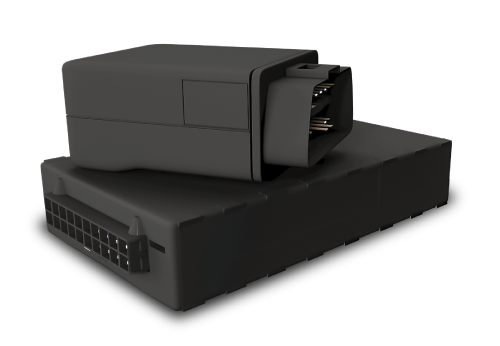 Whether you have 1 or 100 vehicles, quickly install our tracking hardware into your vehicles, assets and equipment based on the year, make or size. We offer hardware for all equipment types which, is and advantage over other legacy systems that only offer one type of hardware and complex installation. Our vehicle and asset tracking devices are dedicated and secured to your assets offering rich location and diagnostics data. Deploy devices based on your specific timing or as your fleet changes. 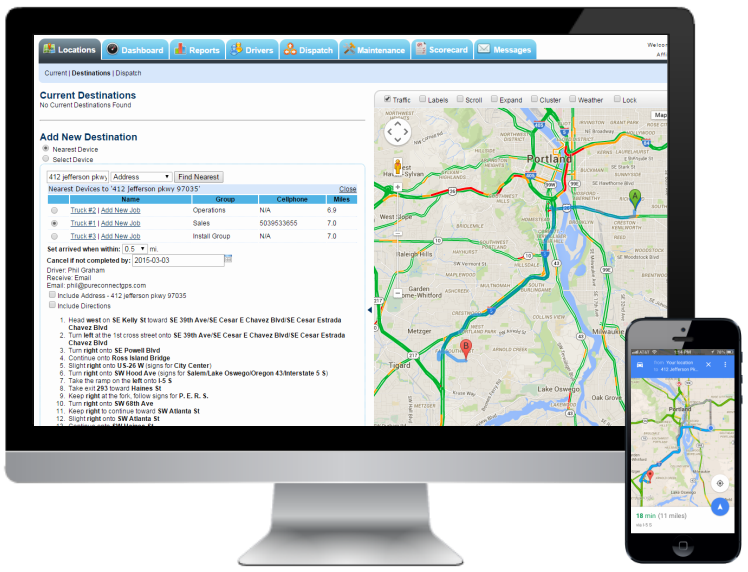 Easily view which drivers or vehicles are nearest to the customer job and dispatch them effectively with traffic updates as well as live messaging from the gateway. Send messages to your drivers' smartphones with customer information, turn by turn directions and job status updates. 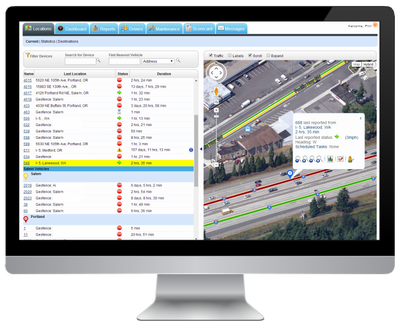 Sync with a Garmin device for two way dispatch and scheduled job boards. Monitor your fleet vehicles from any internet connected device (smartphone, tablet, desktop) native browser or app. If you are out in the field or at a job site, simply track from the smartphone app or choose continuous updates on your fleet vehicles via text or email. Our service includes unlimited data (no carrier contracts), Google satellite tracking & mapping, street level viewing, handheld integration and much more! View recent and historical data so that you can always access pre-trip and post-trip reports. Do you know whether your mobile workforce is safe? Are drivers distracted or abusing your equipment based on unsafe habits? 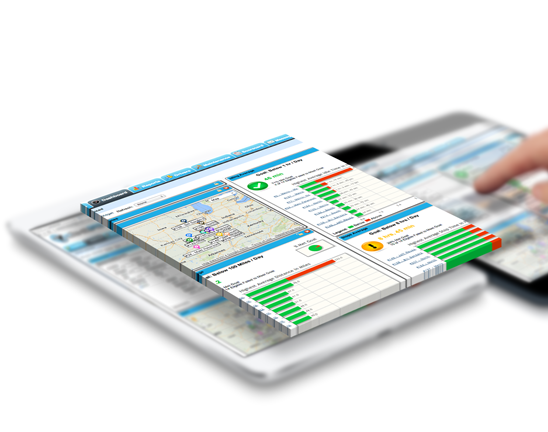 Pure Connect software analyzes your teams driving performance such as speeding, hard braking, hard acceleration and more to determine drivers that meet the company goals and who may need improvement. Easily set speed limits and other rules to monitor vehicles that are in compliance. 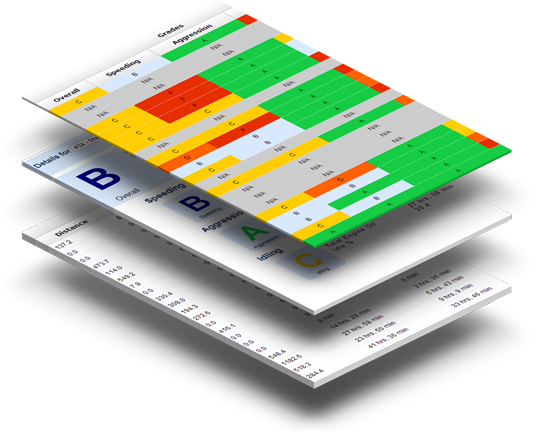 An overall scorecard and grade is given to each driver and vehicle based on telematics data our software collects. All of this data will be available at any time for your safety administration. Creating goals with incentives and friendly driver competition will ultimately help grow driver safety and minimize risks. Benefits are a safer, productive fleet with fewer claims! ​View scorecards along with 24/7 reporting (exportable to PDF, CSV) available to import into other software programs. No technical skills needed. Simple. 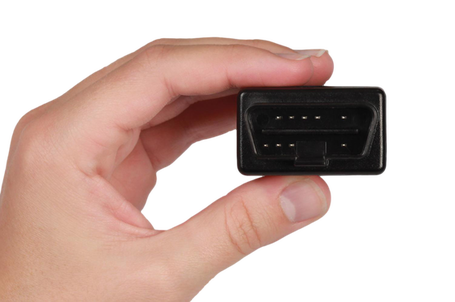 Simply plugin or wire the Connect Links under the dash of your vehicles based on year and make. We will help recommend the right devices for your vehicles as well as offer installation support. Once the devices are connected your vehicles are live in 30 seconds. Configure and name your devices, users, permissions, alerts and company divisions or groups. Our team will help you configure other features such as customer job sites, landmarks and Geo-Fences. Download the free mobile app to pull reports and locations from your smartphone. Search for "Fleetmania" located in iTunes and Google Play stores. Or click on the app located at the bottom right corner of this webpage. Schedule ongoing web training with us. Your sales representative will help guide you through the platform and set up process. You will also have 24/7 access to live training videos from our staff at anytime from your account.